As of June 2018 PanurgyOEM joined the NAD Electronics family as a full-service warranty center. Effective immediately, PanurgyOEM is authorized to provide both under warranty and non-warranty services on NAD’s line-up of Amplifiers, A/V Receivers, and DAC products. 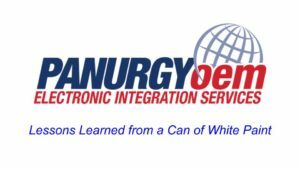 Since 1984, PanurgyOEM has led the electronics service industry with complete repair, build-to-order, logistics and service solutions. PanurgyOEM’s customers include manufacturers, extended warranty companies, third party maintenance companies and retail superstores.